As most of you know, Greek is in a deep economic crisis. Everywhere we went, we saw graffiti. It’s not gang related. Much of it is protest “art.” Cuts in “social programs” is receiving the most attention, as well they should. There’s only so much people can be taxed to support other people. There are a lot of hard-working people in Greece who are getting squeezed by the caretaker State. Tourism is helping keep the economy upright. How does a liberal “grow the economy”? By taking money from some people and giving it to others. The folks at Occupy Democrats are idiots, and so are the people who follow their misinformed memes that pop up frequently on Facebook. When it’s claimed that the cost of college in countries like Chile, Brazil, Germany, Finland, France, and Norway is “free,” Occupy Democrats are lying. Nothing is free. Someone’s paying for it, and the people who are paying for it are not doing it voluntarily. Money is taken from some people and given to other people. This is called theft. A few days before leaving for this trip, most voters voted to raise taxes to fund schools. Why not just tax the people who are sending their children to government schools? Why should I be forced to fund the education of someone else’s children? What would people do if thieves took money out of bank accounts to fund their children’s education? They would have them arrested and force them to pay back what they stole and serve some jail time. When governments do it, it’s theft by majority vote. Either way, it’s still stealing and violates the second principle of economic theory and practice (the first is “You shall not steal”): TANSTAAFA: There Ain’t No Such Thing as a Free Anything. While something might appear to be free (e.g., education, healthcare, etc. ), there is always a cost to someone. Ignore this law, and all economic hell breaks loose. Of course, politicians believe they can ignore and break these laws because they consider themselves to be gods. 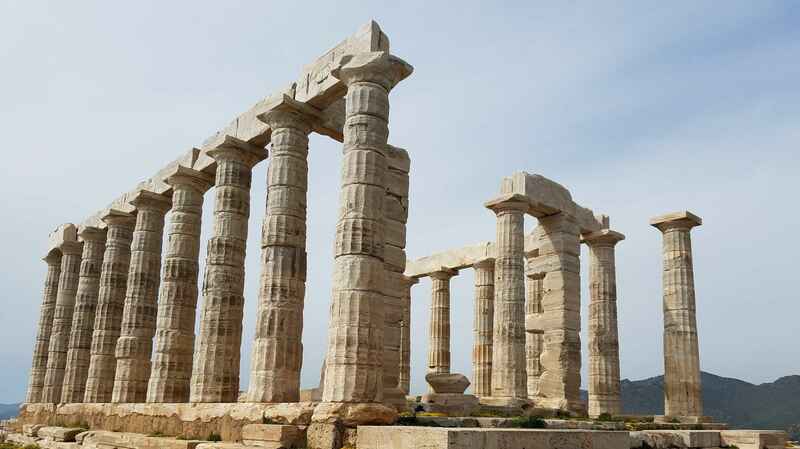 They are no more gods than Poseidon and Zeus whose temples are tourist attractions. These politicians believe they can create economic prosperity ex nihilo — “out of nothing” — simply by legislating it. If people aren’t being paid enough, then legislate a higher wage. Never mind if people are laid off, prices are raised so people have to pay more, and companies go out of business. Prosperity can be legislated because legislators say it can. Those who receive these benefits are not concerned because someone else is paying for them and we’re a “democracy.” Just because politicians can create economic programs does not mean they are moral or will work. Putting people in power so they can take money from you and me and give it to strangers does not make it right, whether they are Republicans, Democrats, or so-called independents.